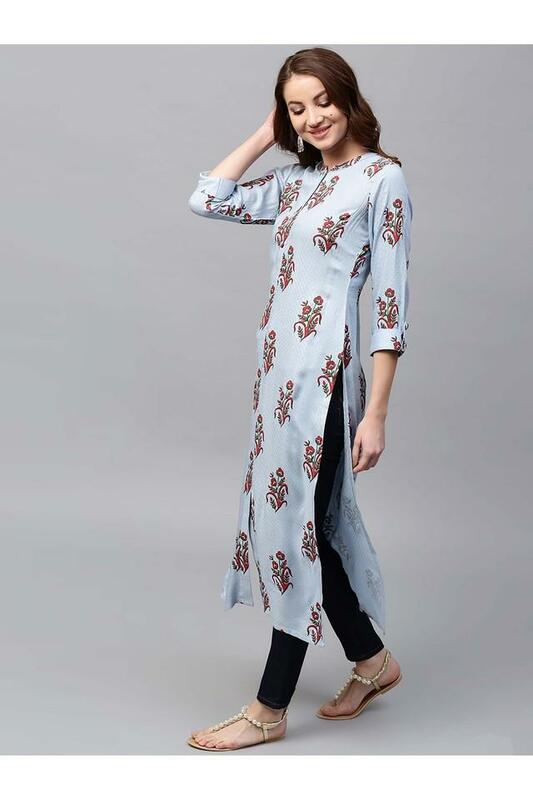 By the virtue of its distinct design, this kurta from Gerua is worth finding a place in the closet of any fashion lover. It is replete with prints and has a mandarin neck, which adds a touch of exclusivity to its look. Tailored with a premium quality rayon, it will further envelop you in optimum comfort. Everyone will swoon over your fine taste in fashion as you wear this kurta with a pair of leggings and sandals for any casual occasion. It is also comfortable to sport and easy to maintain owing to its rayon make.